What do eyes matter, when one has spectacles -- my spectacles, of course!" 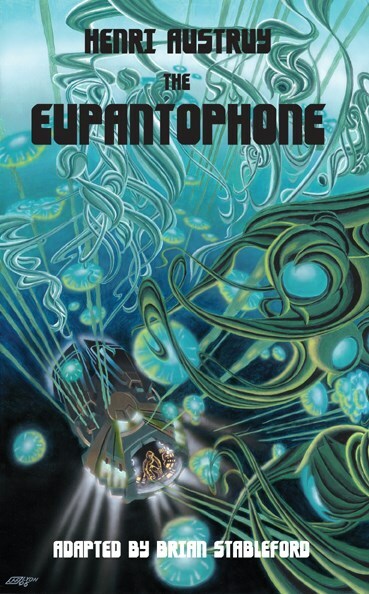 The Eupantophone (1904) is about a machine for reading text aloud that is a pun off into a device transforming light into sound that enables a blind man to see. This collection features three other stories by Austruy, all set in fantasy worlds, where supernatural elements tend to be surreal rather than magical, and deployed in the interests of allegory and satire. Henri Austry, born in 1871, was a Parisian attorney, a writer and the editor of La Nouvelle Revue from 1913 until his unrecorded death during the Nazi occupation of France. Virtually forgotten today, he was the author of several remarkable, humorous and imaginative works of science fiction in the vein of Robert Sheckley and R. A. Lafferty. His stories possess an idiosyncratic eccentricity that makes them highly unusual -- a quality worthy of interest and high praise in the field of imaginative literature. There is literally nothing else quite like them.